I haven't met a piece of inlay furniture I didn't like. 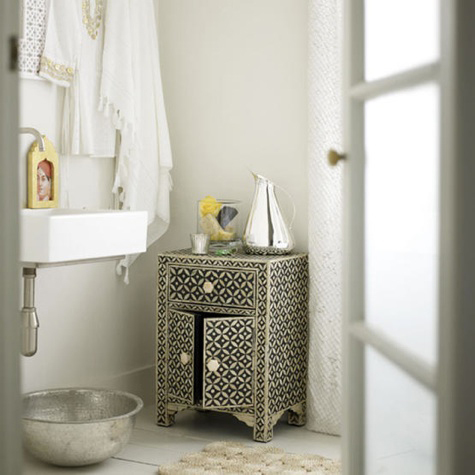 I love its intricate beauty and when paired with the right decor, the results can be stunning. 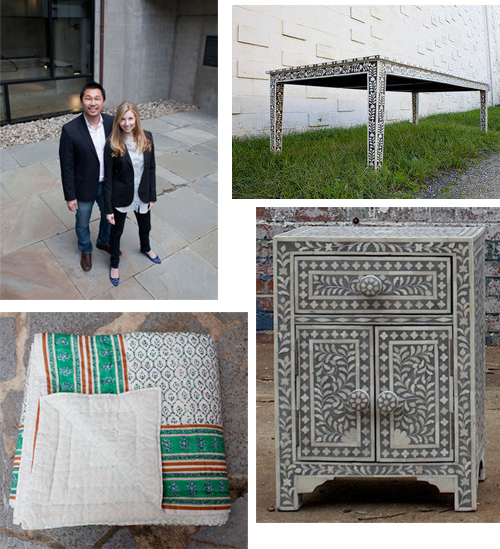 Serena Weaver and Sang Won Hwang of Sang and Serena, based in Charlottesville, Virginia, are passionate about sharing this Indian artform, which dates back to the 17th century. Sang has a Ph.D. in Environmental Design and Planning while Serena's expertise lies in design. 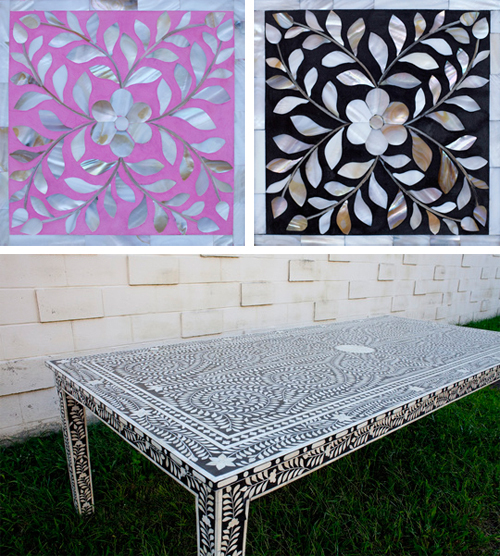 Together, they've combined their talents to design and import inlay pieces that bring a bit of that rich history and craftsmanship into our own living rooms. 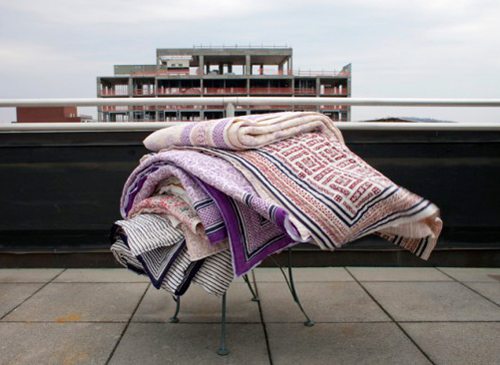 Their pieces are obtained from Rajasthan, India where, as stated on their site, "the art form is practiced using regionally sourced bone from camels (that have passed on naturally) and mother of pearl (from the outer shells of water dwelling mollusks)." Adding, "When fragments of these materials are expertly placed into a piece of India-grown wood, the result is mesmerizing." Just to tug at my heart a bit more, they also import gorgeous Indian hand-blocked textiles. Their original designs from their first collection have sold out, but luckily for us, the designs are complete for the next collection and will be available soon. The great thing is how versatile these elaborate pieces are. Serena, "A seemingly old world inlaid product pops when placed next to something modern. 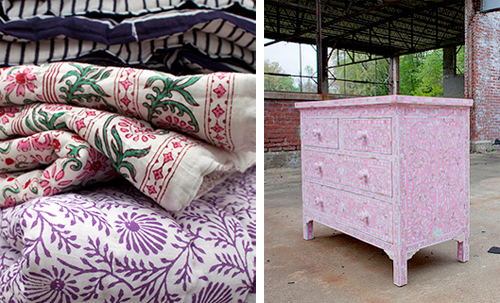 Or a chest in bold pink juxtaposed near a dark, stained wood really livens up a space. 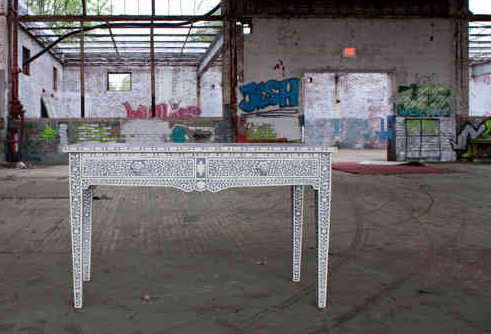 Inlay is accent all the way- furniture as art, if you will."